today MV is back with another Miniatures Unpacked. This time #80. Wow! Today we will take a closer look on a bust Roman painted recently in a very vivid and untraditional way: Abalam, the Prince of Hell. 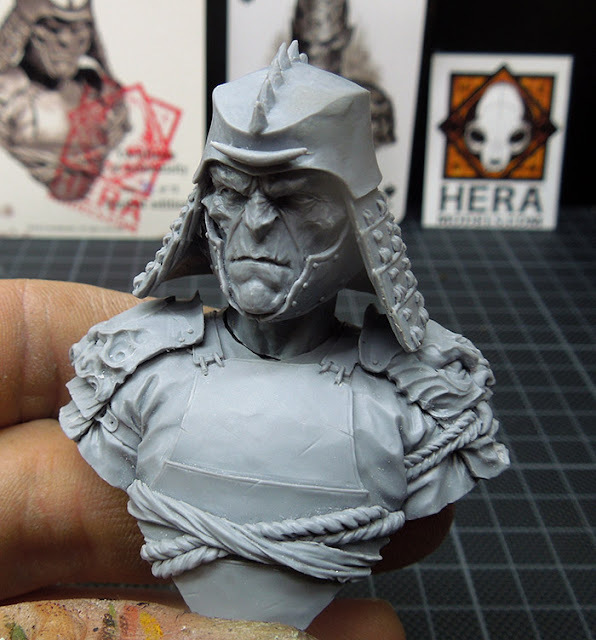 The bust is sculpted by master Raul Garcia Latorre and is distributed by Hera Models. 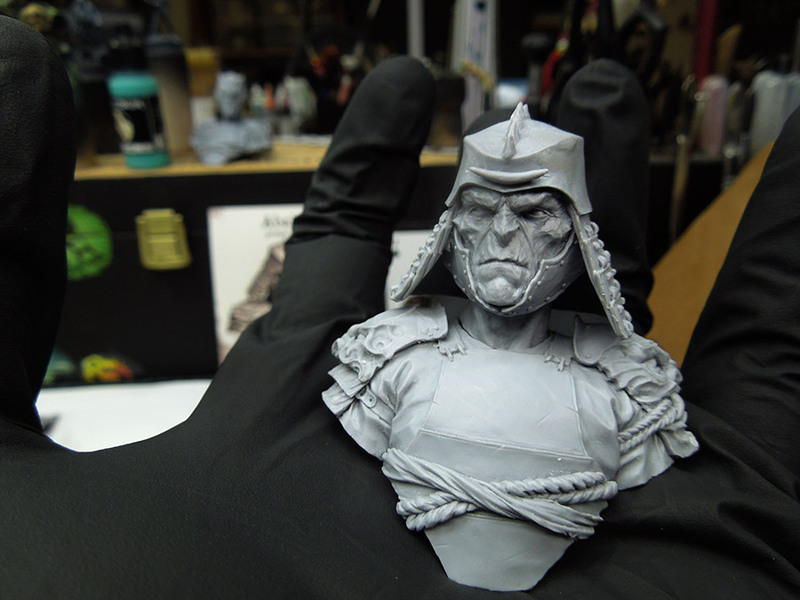 Ok, now let's check the sculpt and why Roman was drawn into it to paint such a version of him. This is the content of the parcel that arrived in the MV HQ. We are not sure if this print of the original artwork is sent out with every order, but we loved it and already hang it to the wall of good memories; in the studio hallway. The boxes itself - yes we ordered the normal and the limited version - come in handy with clear and precise format and describtion of the company. 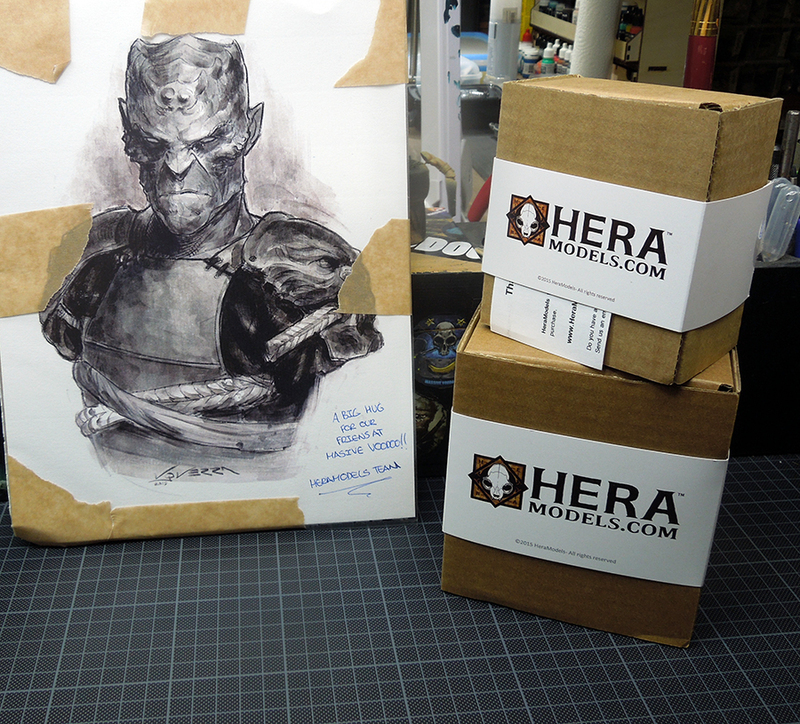 As we will do a review on both versions here is just a small glimpse inside the box. 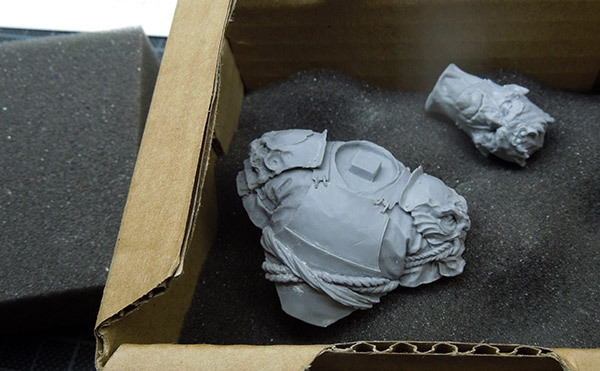 Thick Foam protects your resin pieces and all about packing is wonderful. Of course other companies do more fency stuff in packing, but in fact this is all it takes. Sturdy, enough space, great protection inside. For Packing MV hands out 4 of 5 Voodoo points. Inside the non-limited version you find the following. 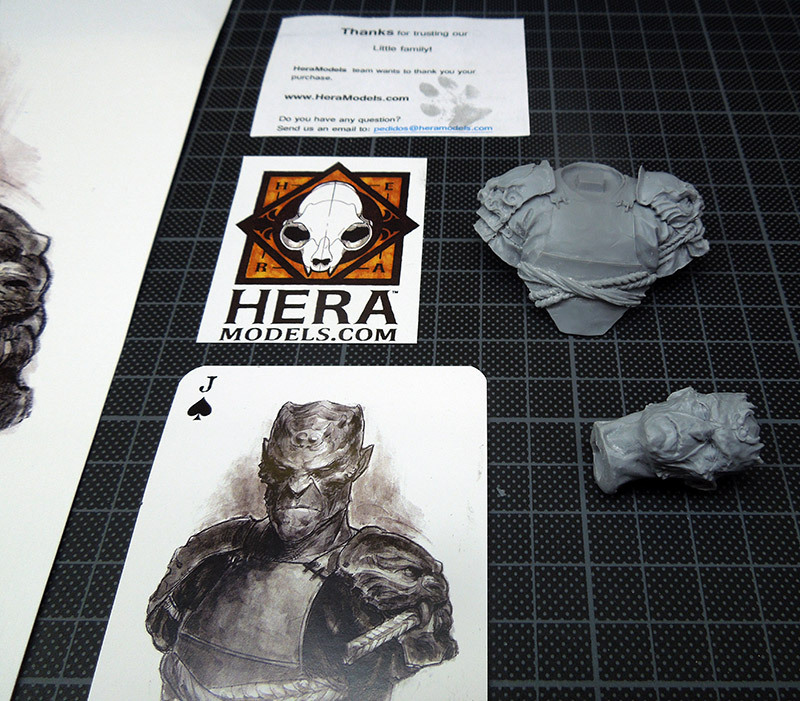 A body, the head, a sticker, a cool gaming card with the artwork and some information about the company. 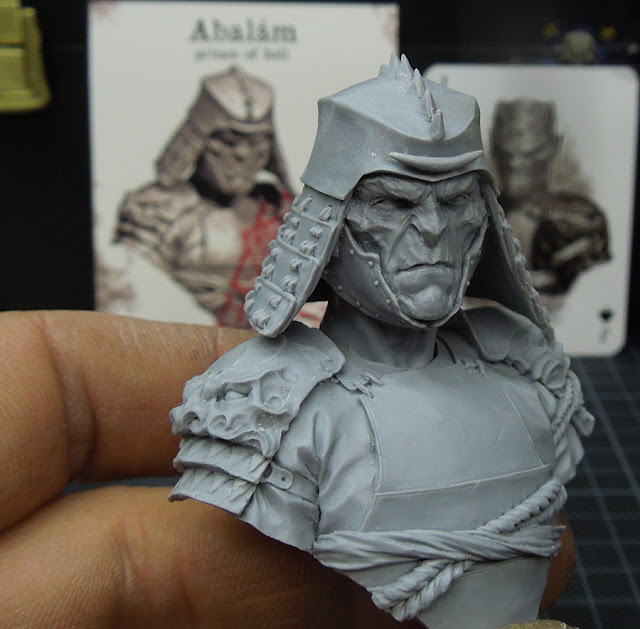 Abalam, the sculpt itself is easy to assemble as he is just made out of two parts. And he does look like an angry demon should. Angry. Mr, Latorre is just so good in what he does. 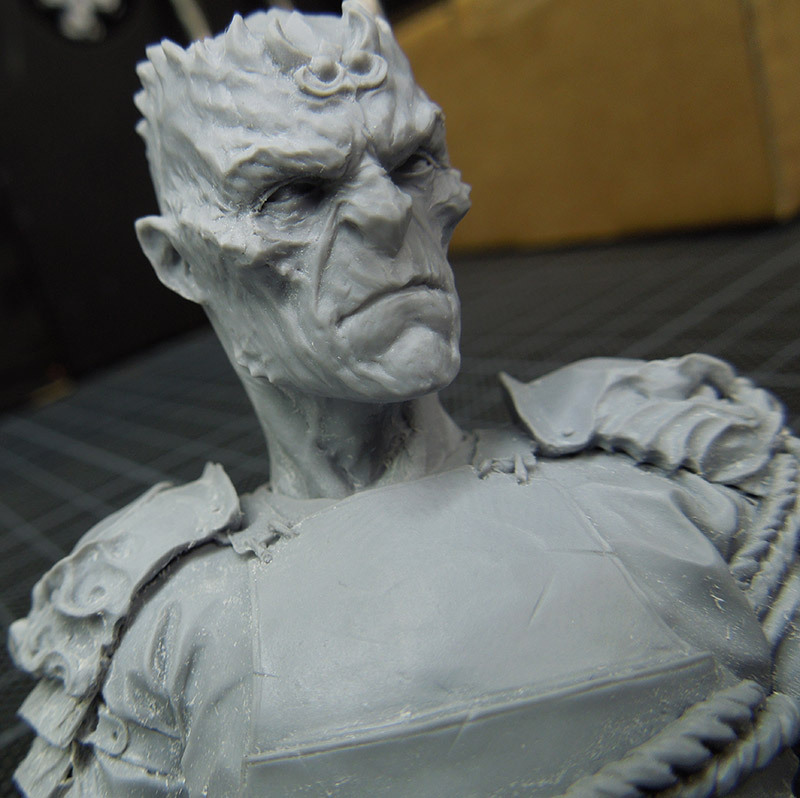 The sculpt is crying for brush attention when you see his powerful presence. 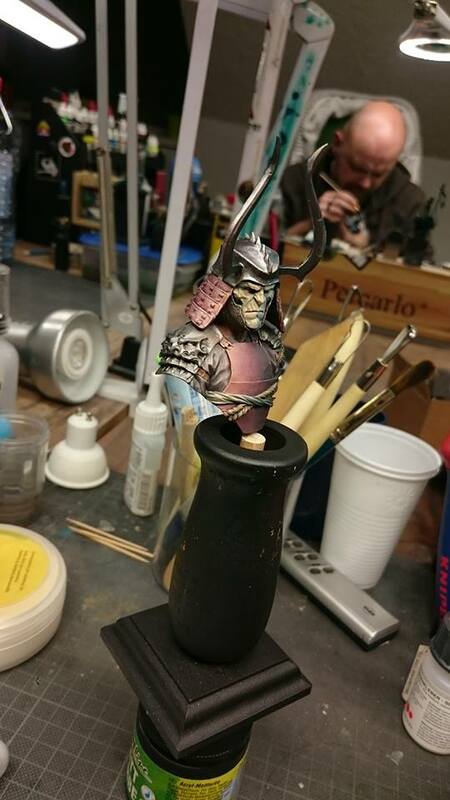 The sculpt of the non-limited version itself recieves 5 out 5 voodoo points. We only give 4 to the limited version, but we will tell this later. 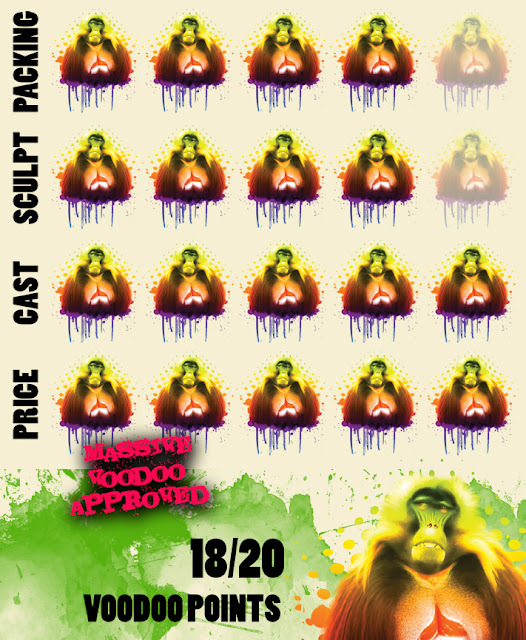 Overall we hand out 4 out of 5 voodoo points for the sculpt. 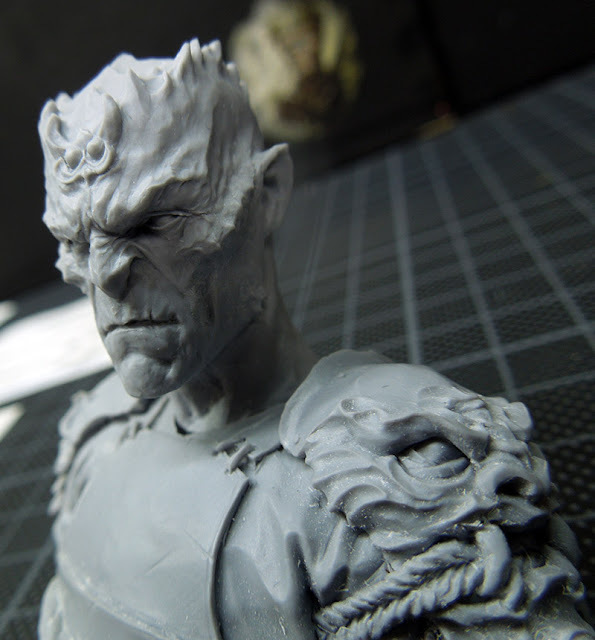 The casting quality is good too. Somehow our example here was a little dusty from resin dust, but this was easy to remove with air from the airbrush and a soft big brush. Still it is not what you expect nowadays. 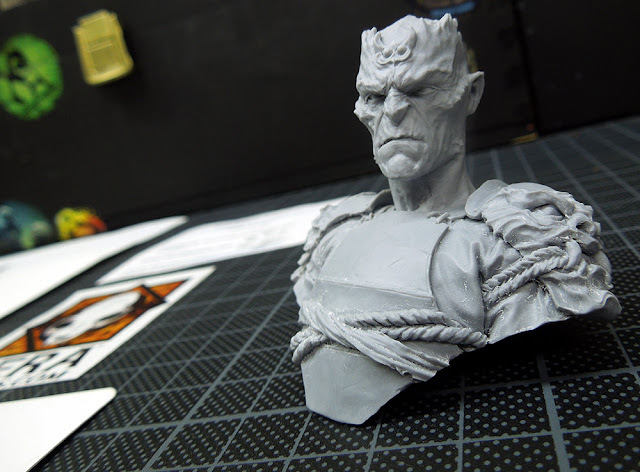 The head is easy to attach and fits smoothly into its place. No, not 100% perfect so we had to sand the necks bottom a little bit. No big deal here. 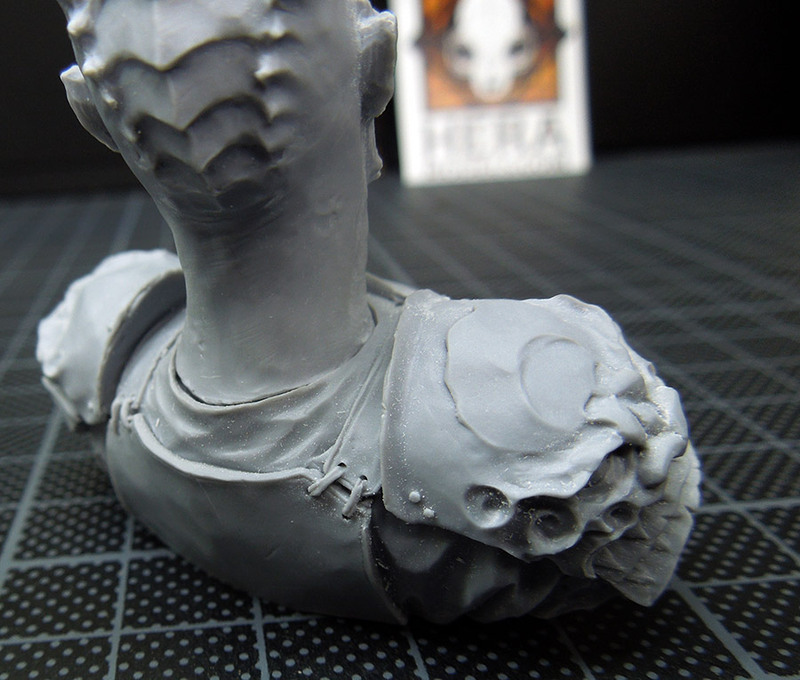 Overall the bust does not present itself with mould lines. At least Roman did not find some. 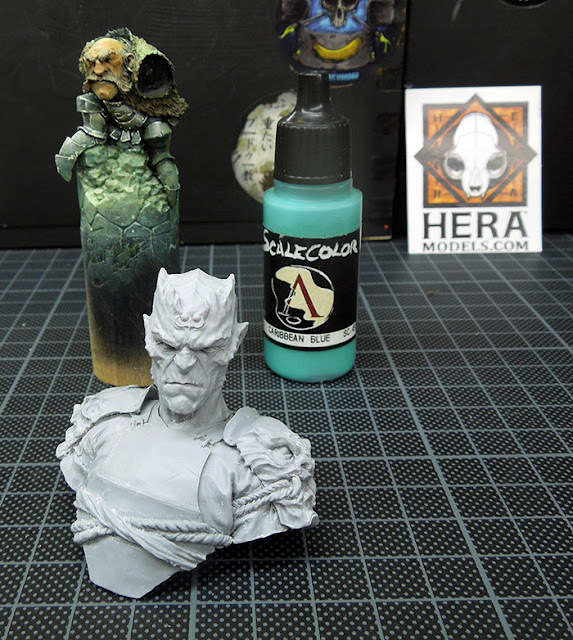 Seeing the model in size comparision to another Latorre sculpt by Mpryoec and a bottle of color. 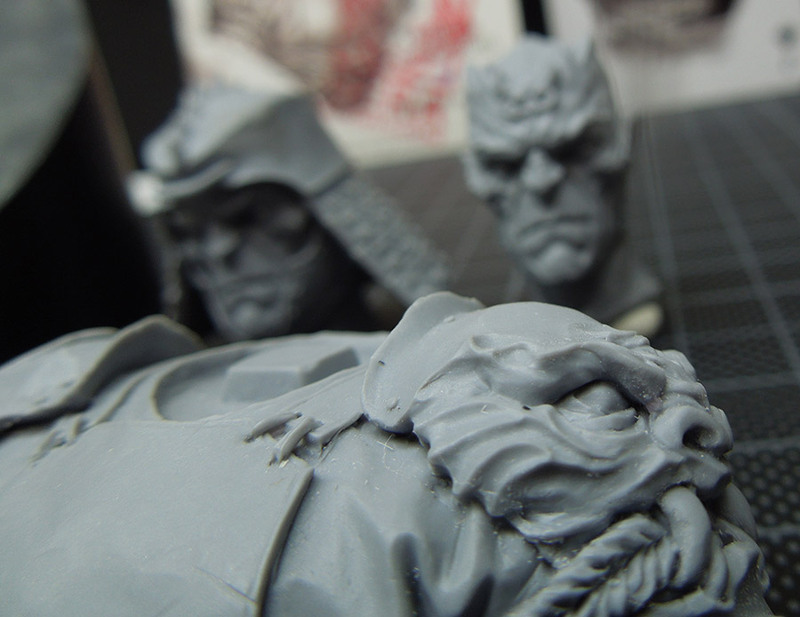 For the casting quality both busts recieves 5 out 5 voodoo points. Now to the limited version. 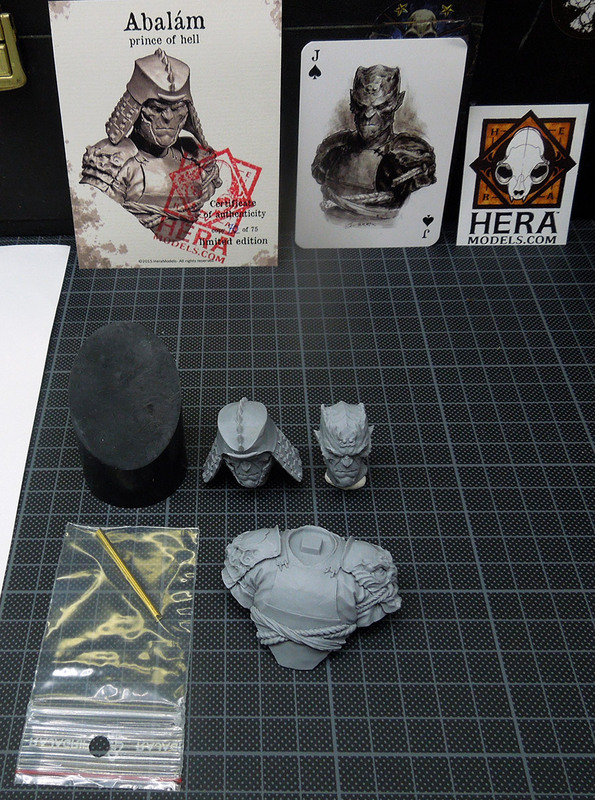 Again this is what you get: A bust plinth, gaming card, sticker, extra limited card, main body and two heads. Yes, two heads. Pretty neat. Again we had the little dust issue. 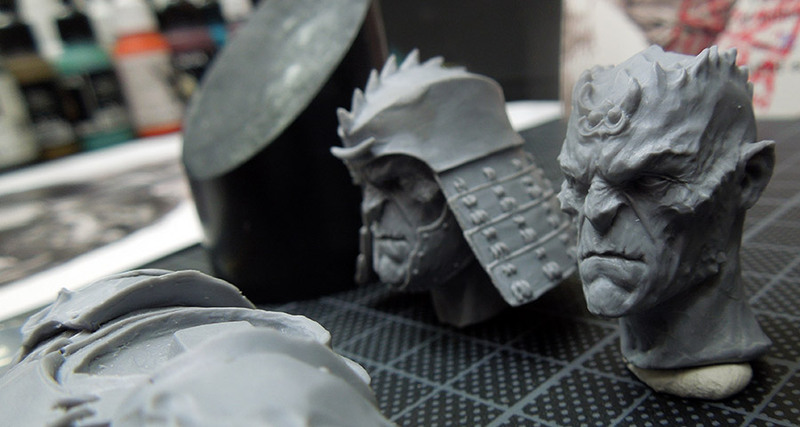 The limited head looks again... angry but with more samurai-style. Pretty cool. The concept fits so well to the body and changes the character immense. There is just one thing that we just do not like on this limited version. We know that Samurais wore such helmets with crests, but this is not a crest, its a banana. As monkeys do like bananas, we still do not understand why this could not have been more uhm ... interesting. 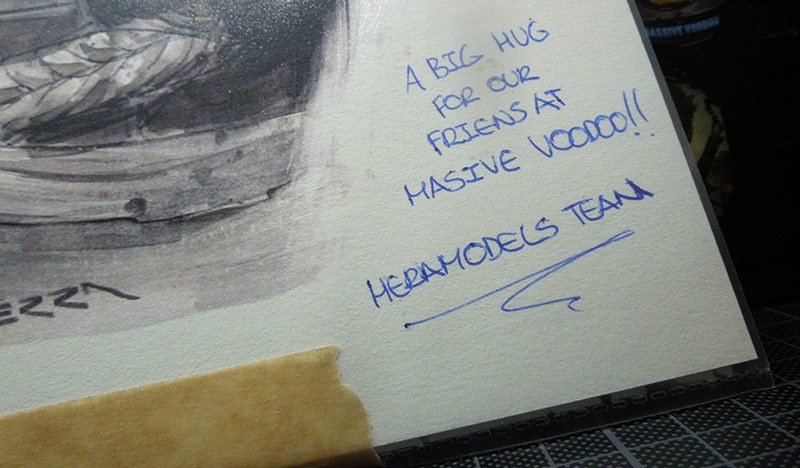 That is why we give the limited version only 4 out of 5 voodoo points. Again this is personal taste, but very often when we saw the bust painted up people intend to change the banana for the better good. Overall, this guy is a really impressive sight too. Even more if you were black gloves. All two bust parts at once. Maybe we should have done one with two heads. Two-headed demon. About the price of the models. 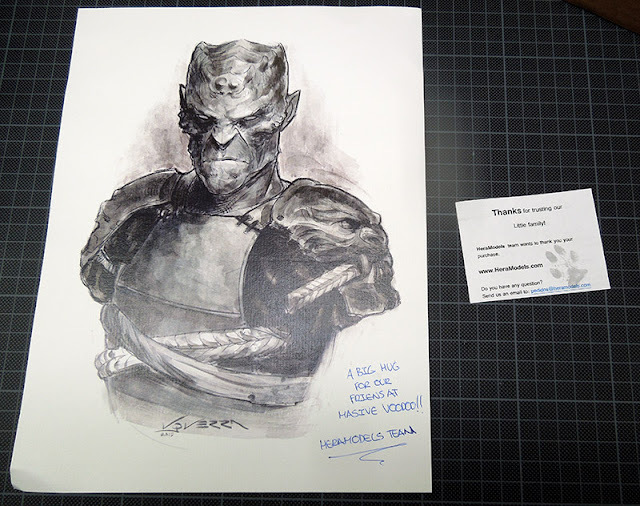 The normal version is at 38,00 € + shipping, the limited version is 10,00 € more with 48,00 €m, which is fine with all the stuff you get via the limited run. Compared to many other companies this is a really good deal and price for a great sculpt and a lot of fun to paint. We hope they do more demons in the future by the hand of Raul. For the price of the busts we hand out 5 of 5 voodoo points. Well, head over to HeraModels and get yours. 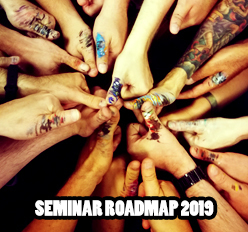 We've heard that the limited run is soon to be sold out! 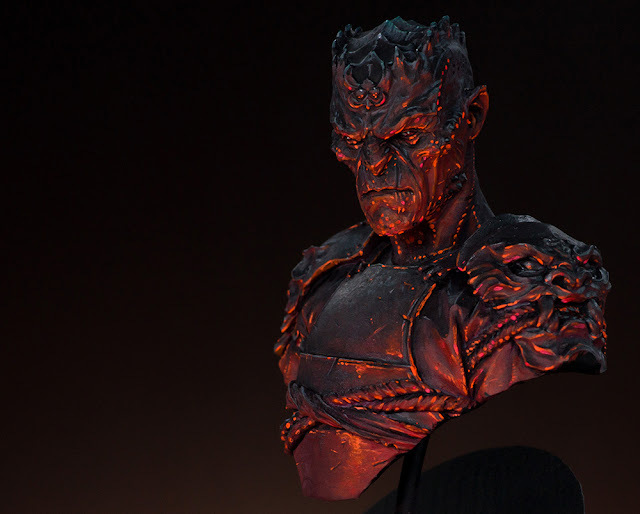 And check their new bust, gnnnaaaahhhh!!! A must paint! "Many thanks for the review" means "I can no longer resist and need to get one... or two..." Compared to others, price is also very fair. Cool.